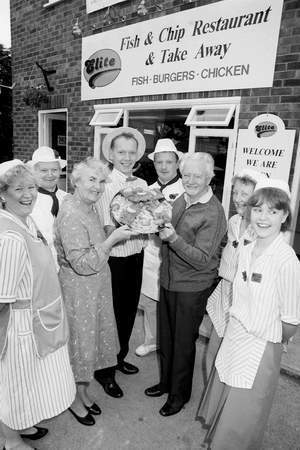 Winning the National Fish and Chip shop of the year back in 1992 The Elite Fish and Chip Company want to share their 25th Anniversary year with Lincolnshire by raising £25,000 for five local registered charities or a good causes. Owner Adrian Tweedale remembers the day well that the Ruskington shop was thrown in to the media spotlight with phone calls and photo request's coming from every angle “ it was a crazy time and it seemed to carry on for years”. The truth was that after their first National award was won, the business was sent on a roller-coaster ride winning more awards for their product and customer service qualities, at one stage helping the popular Big Breakfast Channel 4 program to cook a family fish and chips for breakfast live at 7.30am in Sleaford. With the addition of the very successful Tritton Road, Lincoln site in 1995 and a core of committed staff, Adrian says, “our customers enjoyment at the Elite has always been at the front of our thoughts when establishing the business”. The Elite Fish and Chip Company have been making a point of being a part of the local community and in this their 25th year have felt it would be nice to help a number of Lincolnshire Charities or Causes in a way that shows just how the Elite, as a family run business, care about the part they play in the communities surrounding the three takeaway and restaurant sites of Lincoln, Ruskington and now Sleaford. 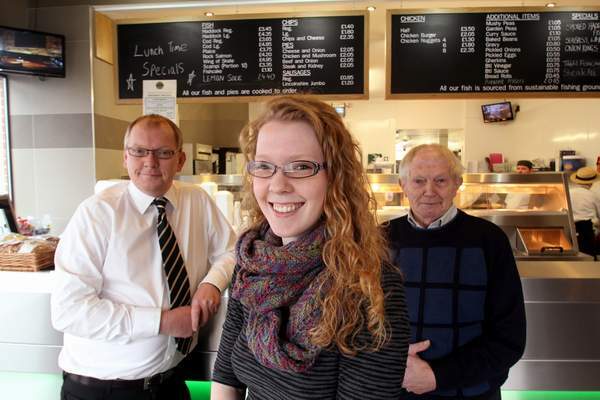 Over the years since their first success the business and staff have raised thousands of pounds for charities at each of their sites and with Adrian's daughter Rachel Tweedale (23) now taking on the manager role at the latest Grantham road, Sleaford Elite Fish and Chip shop there is now three generations of the family involved in the Elite brand. David Tweedale (75) and Adrians father started the family fish and chip tradition when his sons were growing up in Huddersfield before moving to Lincolnshire. Adrian said “Our family can now provide a continuous business ethic that has stood the test of time, especially in the tough economic times all business's are going through in the present trading climate”. So the Elite Fish and Chip Company would like everyone to send in their ideas of a good cause they truly believe in or a registered charity that also need support at the moment and would benefit from £5,000.